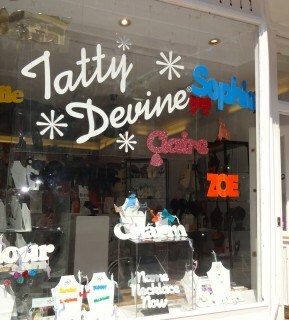 If you want your jewellery to stand out and scream colour then Tatty Devine is the place for you. Founded in 1999 Tatty Devine have been designing and manufacturing original pieces of jewellery which have standout and expressive designs so that you can have fun and create a distinctive look with your accessories. Based in London all their jewellery is made from scratch and almost all are hand made in the workshops in London and Kent and are created to be colourful and have something to say. Famous for making their pieces out of Perspex they ventured onto use fabric, wood, veneer, enamel and anything else they can get their hands on to form their masterpieces. With jewellery in all different themes, styles and sizes you are sure to find something that makes you go wow at Tatty Devine.